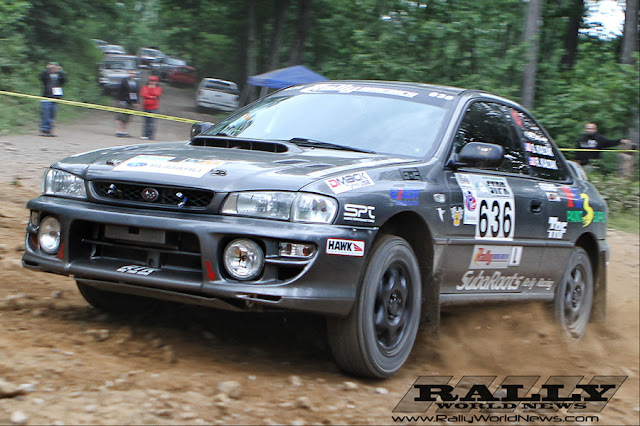 CEDAR SPRINGS, MICHIGAN, USA -The husband and wife rally team of Samir and Rachelle Kaltak finished strong at STPR’s regional events on June 1st and 2nd. 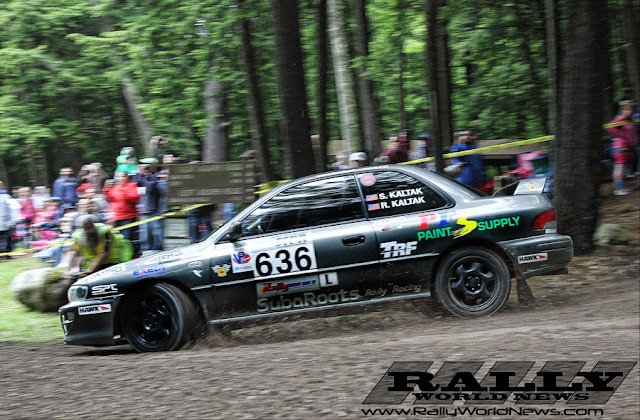 The Sherwood Forest and Finger Lakes Regional rallies, which run in conjunction with the STPR national event, had 40 entries, nine running in the Open Light category. “In talking to the other driver’s who’d raced at STPR in the past, and hearing their descriptions of the brutal conditions on the Waste Management course, stages 1 and 3, we were simply looking to get through the day and finish out Friday, hoping to move onto Saturday’s stages, in the hopes of pushing ourselves a bit more”, said Samir. “After Friday’s results were posted, we were pleased to discover that we’d put down decent times on the Waste Management stages earlier in the day. We finished Friday, 4th in class. The three cars leading Open Light were all within 20 seconds of each other, we were trailing the third place car by slightly over 2 minutes. The car in fifth place, was approximately another 2 minutes behind us”, said Rachelle. The first stage on Saturday, claimed the number 35 car of Mark Piatkowski and Robert Maciejski, who lost their engine, moving the RTK car into third place, where they finished the Sherwood Forest Regional event. Saturday afternoon began the Finger Lakes Regional Rally. “We continued our strategy of maintaining our position behind the two lead cars of Justin Pritchard/Ryan Scott (#550) and Jon Kramer/Jared Lantzy (#777) and ahead of the remainder of the Open Light group. We knew we weren’t fast enough to catch the #550 and #777 cars, but we felt that if we could hold off the remainder of the other Open Light cars we could hopefully podium, in third place,” said Samir. Unfortunately, Pritchard and Scott (#550) rolled their car on stage 9, moving Kaltak’s #636 car into second place, in class. Then on stage 13, Kramer and Lantzy (#777) also rolled their car, bumping Samir and Rachelle into first place in Open Light.